How often do you take stock of what you’re keeping in your garage? Chances are it’s not often. Even so, many of us use our garages as a handy place for some extra personal storage. Unfortunately, after a while, it gets easier and easier to forget just what you’ve thrown in there. After a while, you might find yourself having to pick your way throw precariously placed boxes and assorted junk just to get in your car. If you’re struggling with your personal storage habits, Affordable Family Storage is here to help. We don’t just provide the best in personal storage in Council Bluffs, IA – we like to give advice, too. In this blog, we’re going to take a look at a few fast and simple ways to declutter your garage. If your home has a garage, it probably quickly became an ideal way to give yourself some extra personal storage. Unfortunately, what often goes in the garage is the kind of stuff that isn’t needed often – if ever again. Eventually, it piles up, until or car, cars or other vehicles are surrounded by boxes, containers, and general piles of junk. Your first task will be to go through this stuff and see just what it is you have lurking in there. Divide your organization into separate piles: stuff to keep, stuff to trash, stuff to donate and a “maybe” pile. Just remember to keep the maybe pile as low as possible. Nine times out of ten, if you’re debating whether or not to keep old belongings, you can probably do without them. 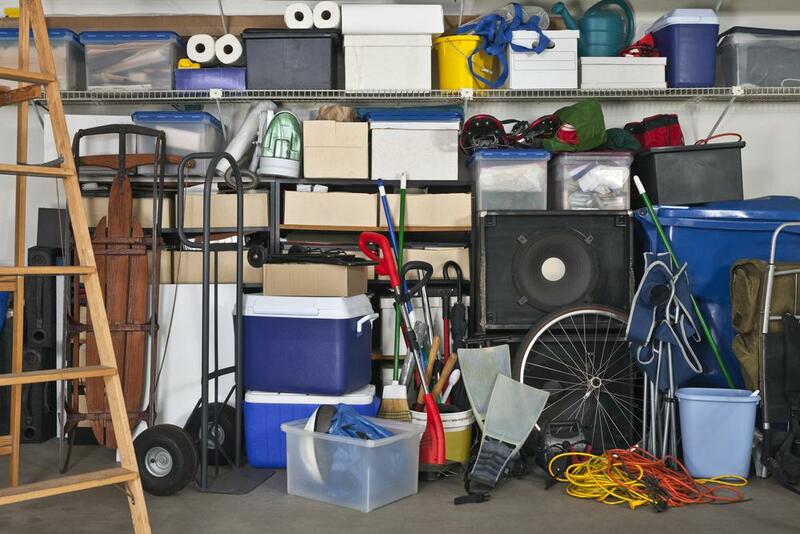 Once you’ve determined what to throw and what to keep, it’s time to think about your garage as a storage space. Your best bet is to think about how you want to store things before you start. Designate spaces for storage. This can also help you be more strict with yourself with what you keep and what you don’t. Make sure you know where containers can go, and that you leave a comfortable space between the vehicles you keep in the garage and the stuff you’re storing. When you’re organizing your stuff, invest in some more durable and reliable containers. Boxing things in cardboard in your garage is often not the best idea. Even more modern garages are susceptible to dampness and mold, and cardboard won’t protect your belongings. If you’re keeping things in your garage long-term or permanently, sealed plastic containers are a much better choice. NEED MORE PERSONAL STORAGE SPACE? If you’re still in need of more personal storage space after following our advice, we can still help! Affordable Family Storage has a variety of differently sized storage units available. Our facilities are equipped with the latest in reliable, secure units, and are designed for safe and easy access. Our friendly customer support team is available 24 hours a day, so contact us anytime about storage rental.